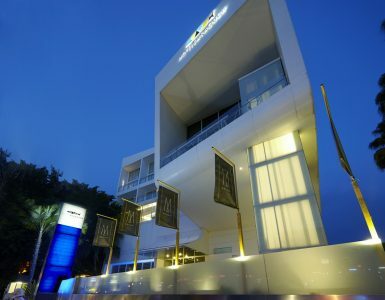 For the best restaurants in Pattaya, it’s got to be Hotel Baraquda Pattaya MGallery by Sofitel every time. Our 3 fantastic outlets offer Pattaya’s most delicious food for everybody to enjoy for a memorable Pattaya dining experience of fantastic fare and gourmet grub. Nauti-Café is the perfect place to relax in Pattaya and surf the internet over a fresh cup of the finest coffee or tea with our free Wi-Fi as you enjoy a tasty homemade cake, pastry or luxury ice cream or sip your favourite drink from Pattaya’s best selection of alcoholic and non-alcoholic drinks. You can even celebrate your birthday in Pattaya at Nauti-Café with one of our delicious homemade birthday cakes for a very Happy Birthday in Pattaya to you, your family or friends. 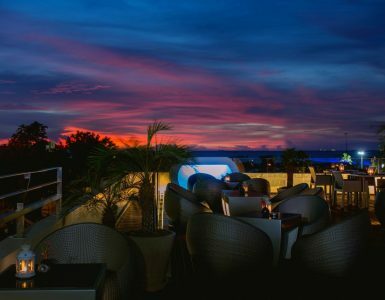 The rooftop Sunset Lounge is the best restaurant in Pattaya to view the beautiful sunsets and enjoy a perfect rooftop dinner and fine dining moment with a diversely delicious menu featuring the most fantastic food and an amazing selection of innovative cocktails and mocktails, fine wine, beer and top-shelf spirits for a relaxing evening just taking it easy in the center of Pattaya town. For Pattaya’s best poolside dining Hotel Baraquda invites all food fans for a memorable meal in the relaxing comfort and chilled out atmosphere of S.E.A. Restaurant, right next to the most beautiful hotel swimming pool in Pattaya and considered among Pattaya’s best restaurants. The huge glass windows look out onto the gorgeous gardens and cool pool as guests relax in the comfortable ambience and beautiful décor of S.E.A. in anticipation of the best fine dining in Pattaya. 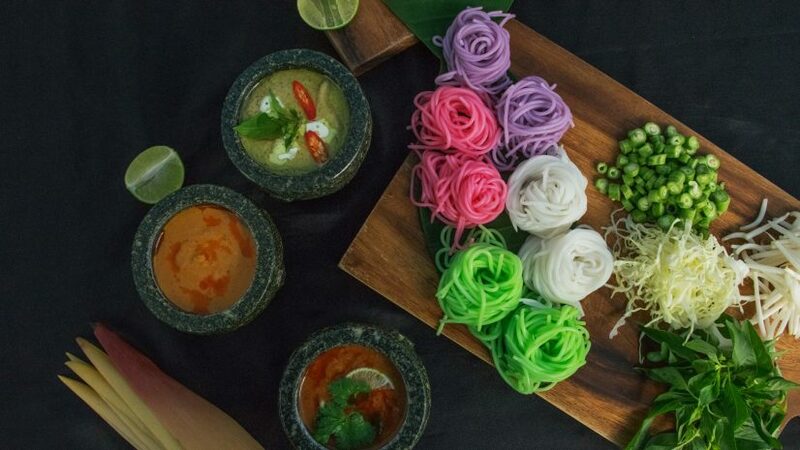 The delicious menu offers Pattaya’s best Thai food as well as local favourites, just-caught Pattaya seafood and tasty Western cuisine all freshly prepared by our expert chefs with even more delicious new menus coming soon at this perfectly positioned Pattaya restaurant. S.E.A. Restaurant is also the best event location in one of Pattaya’s best restaurants for a perfect private lunch, dinner or party offering a wide choice of delicious menus and first class service to make yours the best function in Pattaya at Hotel Baraquda Pattaya MGallery by Sofitel.